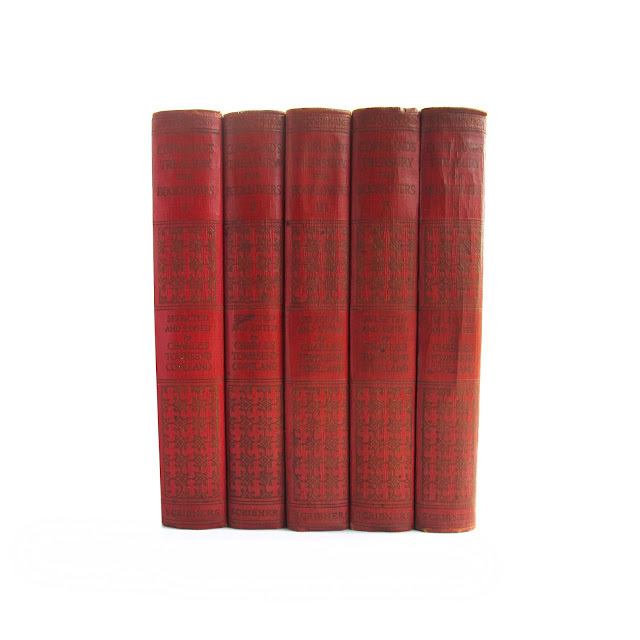 This antique hardcover five-volume set is bound in red cloth boards with gilt spine lettering and decorations. Illustrated with frontispieces, each volume contains selections of English and American poetry and prose, including works by Robert Frost, Bret Harte, Conrad Aiken, Sir Francis Bacon, Robert Browning, Henry Fielding, Nathaniel Hawthorne, Charles Dickens, Rudyard Kipling, Sir Walter Raleigh and many more. 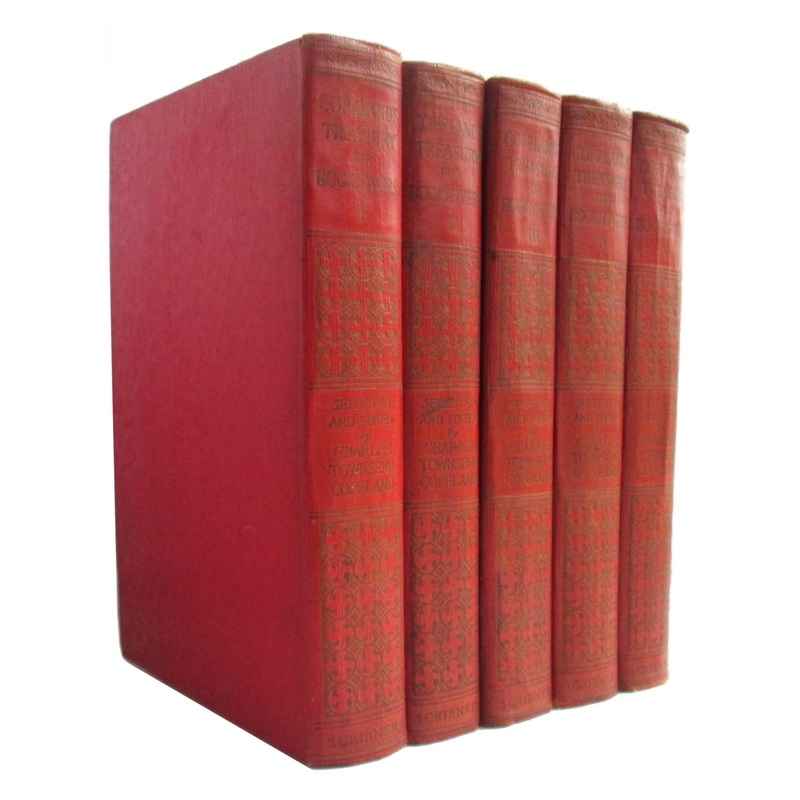 Each volume is approx. 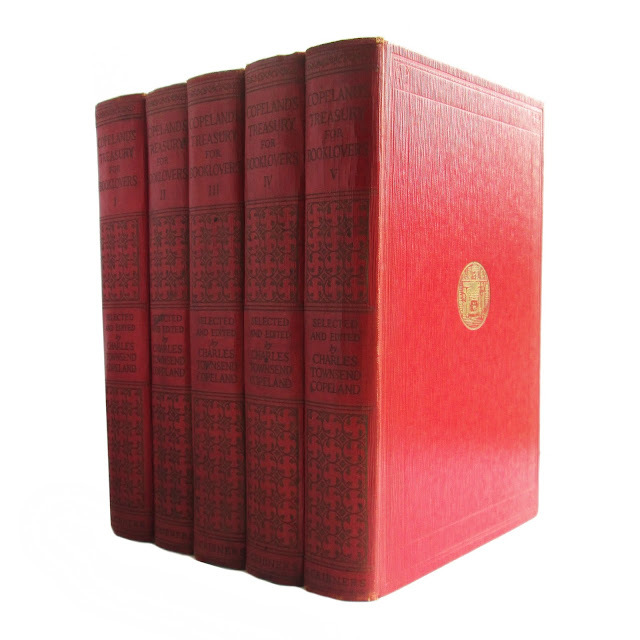 400 pages, 7"x9". Spines are a bit faded and dulled, some soil to edges. Volume III has a small section of mistrimmed pages.